An Omura&apos;s whale swam off the coast of Madagascar. Researchers took images of an Omura’s whale as it twirled its slender gray body, cutting smoothly through the blue waters off Madagascar. It was an exciting moment — no one had ever before captured confirmed video of the mysterious creature in its natural habitat. A team of international scientists, led by Dr. Salvatore Cerchio, a whale expert with the New England Aquarium, recently released its findings about the encounter with the rare whale and others like it during an expedition near the northwest portion of the island. The study, published in the Royal Society Open Science journal in October, includes what is believed to be the first pictures and field observations of the whales in the wild. A video was also released later. “Over the years, there have been a small handful of possible sightings of Omura’s whales, but nothing that was confirmed,” Cerchio, who is also a guest investigator at the Woods Hole Oceanographic Institution, said in a statement. Experts aren’t quite sure how many of the elusive whales are alive. They’re difficult to locate because of their relatively small size, and in the past they were often confused for a different species, Bryde’s whales, said Cerchio, who led the research while at the Wildlife Conservation Society. 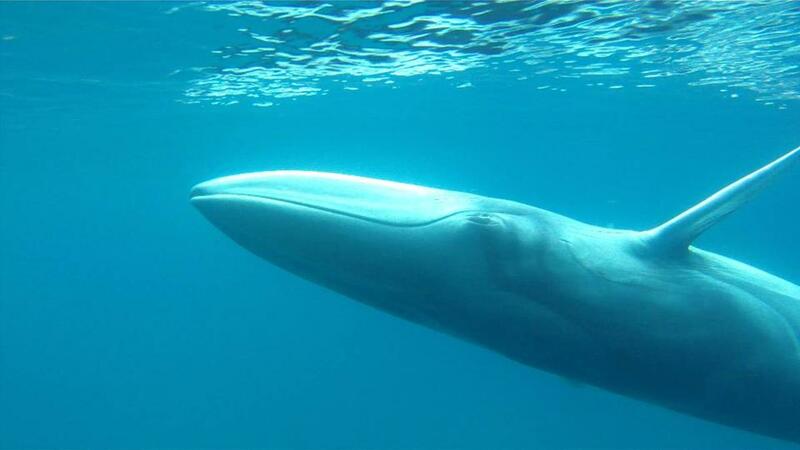 But during their time off Madagascar, researchers were able to gather skin biopsies from 18 adult whales, helping them to definitively identify the Omura’s whales. The team’s research has also led to a better understanding of the feeding habits and other behaviors of the majestic creatures. Scientists documented the whales eating and swimming with young calves, they wrote, and recorded audio of what they described as a “song-like vocalization” produced by the whales. The noises could indicate some type of reproductive conduct, researchers said. The little information that was previously available about the whales was based on Japanese whaling studies and strandings of dead whales, experts said. Cerchio, who was not available for comment, has returned to Madagascar for his next field season, which begins later this month. While there, he will continue collecting information about the rare whales with his team, according to aquarium officials. Steve Annear can be reached at steve.annear@globe.com. Follow him on Twitter @steveannear.